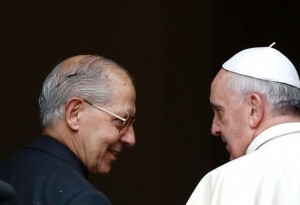 Father Adolfo Nicolas, SJ, the Superior General of the Society of Jesus, plans to submit his resignation in late 2016. He has the approval of Pope Francis. Father Nicolas, 78, is citing his advanced age. He was elected to head the Society of Jesus on 19 January 2008. This is a surprise announcement that does not represent a good discernment, unless there are other issues, other and age, at play that we are not privy to hear. Until the General Congregation accepts his resignation, Nicolas remains Superior General. The successor will be elected and approved by the Roman Pontiff. The last Jesuit to resign was Father Peter Hans Kolvenbach, the 29th General who served from 1983-2008, who succeeded the Servant of God Father Pedro Arrupe.